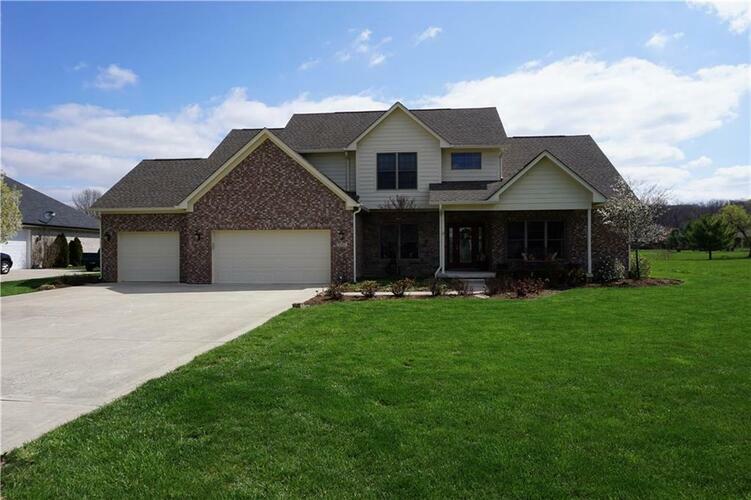 This gorgeous 4 BR/3.5 bath custom home w vaulted ceilings & hardwoods floors is located in Foxcliff South. The main floor features a master suite w huge walk in closet, a floor-to-ceiling stone gas fireplace, open concept great rm, dining rm. Kitchen has solid surface counter tops, stainless steel app. w tons of space. Upper level has a 2nd master suite, 2 additional BR & full bath. Step out your huge patio to enjoy the 16th fairway & pond which is often visited by bald eagles & blue herons.